About (AHVC) -Abundant Health & Vitality clinic (AHVC) was established in 2004 by our founder and owner Kimberley Rangeley. She has over 30 years of experience in the natural health industry. Kimberley keeps up-to-date on the latest scientific research and incorporates this evidence into her treatments. Her professional and reliable naturopathic clinic in Baulkham Hills helps you get your body healthy with the sheer power of nature. If you have an ailment, Abundant Health and Vitality clinic have the natural solution. Kimberley’s story…….As a teenager, Kimberley was diagnosed by mainstream medicine with stomach migraines and severe period pain - endometriosis but was told there was no cure and she had to live with it. Kimberley saw an iridologist-naturopath and was so impressed at how diseases and problems could be diagnosed through the eyes and aided or cured with herbal medicines and homeopathy. From that moment Kimberley set her heart on becoming a naturopath. She has such a caring, nurturing nature, and has dedicated herself for years, helping many people achieve their ability to be well again. Kimberley Rangeley qualified in 1991 in Naturopathy, Iridology, and Homeopathy. Over the years she has worked with many successful well known naturopaths and worked all over Australia seeing many people and very different ailments. With over 30 years of experience and in private practice for 15 years Kimberley has extensive training and specialising in fertility, gut health, endocrinology (mastering in Thyroid, adrenal and hormonal health) and oncology (cancer) and children’s health. 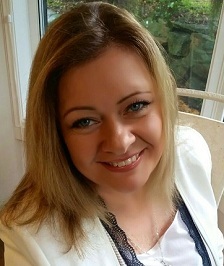 Ksenia Kulesha graduated in 2000 in Naturopathy, Nutrition, Western Herbal Medicine and Homoeopathy. She has been in private practice for 10 yrs. Ksenia has worked as a Naturopath and health educator for Blackmores, training pharmacists and staff about Nutrition and Herbal medicine. Most recently she has worked in the Blackmores flagship store in Bondi Junction as a naturopath in their clinic rooms. Ksenia is also a Metagenics certified VLA practitioner. Ksenia is a mother of two beautiful, energetic girls and is passionate about food and healthy living. She enjoys teaching others about how to source the best quality foods, how to cook and how to implement lifestyle changes to improve health.